Holy Apostles College & Seminary and the Angelicum Academy has designed a path for qualified homeschool students to earn Associate’s degrees (A.A.) at the completion of 12th grade, and a Bachelor’s degree (B.A.) one year later. Holy Apostles’ Associate’s degrees require 60 credits. Students who begin the Ignatius-Angelicum Liberal Studies, four-year, Great Books Program in 9th grade (minimum age 14, and up), may transfer 45 credits completed from that four-year program to Holy Apostles College. Holy Apostles allows home schoolers and 11th and 12th grade high school students (with a minimum 2.5 GPA) to take 15 (or more) credits online or on campus. Combined, this allows home school students to earn a total of 60 college credits by their completion of 12th grade. 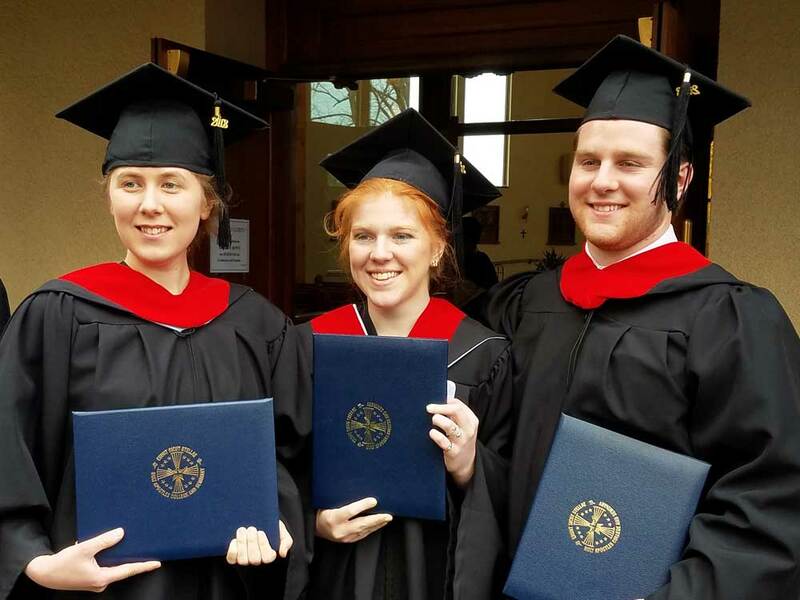 Such students may then enroll in the Holy Apostles Associate’s degree program that same month, and receive their A.A. degree in Liberal Arts at the Summer term graduation of the same year. 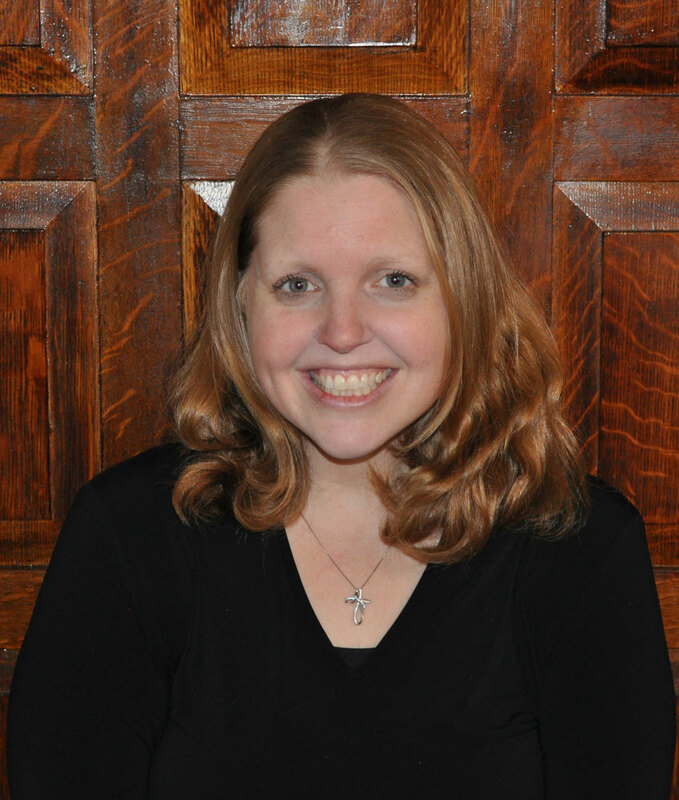 As Angelicum Academy-Holy Apostles students, Sarah and Markus Visconti began studying online at Holy Apostles in the summer semester of 2017 while Angelicum Academy students, and by the end of the Spring Semester of 2018, Sarah and Markus had completed their BA degrees with a Double Majors in Philosophy and in History in the Social Sciences, Sarah at the age of 19 and Markus at age 20. Once eligibility as been identified, you will then be able to formally apply to Holy Apostles College & Seminary and Taylor A. Riso, the Director of Undergraduate Admissions will be able to assist you with the Admissions process. Holy Aposltes College & Seminary looks forward to helping you achieve your collegiate goals! Q: Is there additional documents to submit for Admission? – A recent educator, guidance counselor or academic mentor or a Catholic priest or a religious leader. Q: What are the Standardized Test Codes for Holy Apostles? For the Holy Apostles AP Exam Policy click HERE. 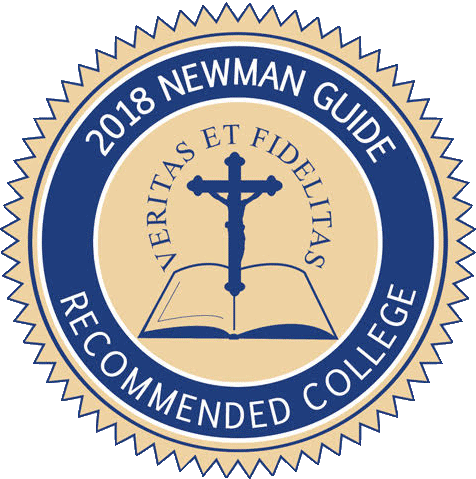 The A.A. track includes the entire Great Books Program & Theology Online & five online courses with Holy Apostles College – a total of 75 credits. To complete the A.A., students need only 45 credits from the Angelicum Academy plus 15 credits from Holy Apostles, but all students are encouraged to complete the 48 Great Books credits and the 12 Theology online credits so that they complete a total of 75 credits at the end of their time in the program. $1,875 per Semester for 8 semesters. Total = $15,000 for up to 75 college credits. See http://www.angelicum.net/great-books-program/enrollment-form/ for more information. Students who complete the A.A. are encouraged to continue through their B.A. in any of the four majors offered by Holy Apostles College & Seminary – theology, philosophy, English in the Humanities and History in the Social Sciences. If students completed 75 credits in the A.A. track, then they are only 45 credits away from the B.A. at $320 per credit hour for a total remaining tuition cost of $14,400. Total tuition cost for both the A.A. and the B.A. = $29,400. Learn more about the Angelicum Partnership!